Storytelling is an ancient form of art of telling stories as a way of social and cultural expression and activity, often accompanied with improvisation and/or theatrics. Stories have been shared for generations in every culture as a means of entertainment and education about cultural and moral beliefs and values. Starting from Mahabharata, Odyssey by Homer, the 1001 Arabian nights tales, to the emotionally moving plays by Shakespeare, all of these masterpieces have something in common – they are timeless stories that stick with the readers long after they finish reading them. 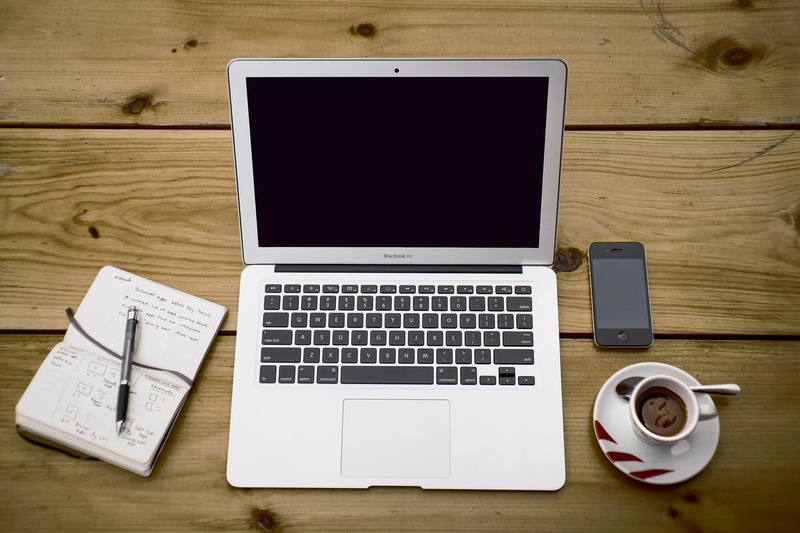 Email Marketing: You’ve got subscribers, what’s next? We’ve run into a couple instances where our clients are sitting on a large list of email addresses or are starting an email program and just want to blast everything out at once. Recently, a member of our team pointed this out to me and it was a really interesting conversion. Based on that, we thought it would be important to talk about how to get value instantly, without overwhelming yourself and your subscribers. There’s an old saying, “you need to learn to crawl before you walk”. It holds true here because before you start implementing a hundred different strategies, it’s important to find out what is working. What I mean is: start somewhere and start small. Start with a test email, you can format it in a way you think might be the first of a Drip Marketing or CRM campaign, but, there’s no need to set up automation immediately. First, try to generate some feedback. You can do this by testing. The key is, start small and send a couple test emails to see what type of response you get. Don’t send it to everyone! So, speaking of starting small. If you have a list of 500 subscribers or 25,000, it doesn’t matter, sending the email to everyone can cannibalize your audience and limit your ability to test. Consider segmenting out the list if you can, and, if you can’t, just split the list out into chunks so you can do the above, test and iterate. Generally, the biggest the list, the lower the percent of users I want to send an email to. For example, a list of 500 I would break into 25%-50% tests of 125-250 people, where as a list of 25,000 I might break out into 10% chunks. The more subscribers the more data you can extract. An example of this that we have right now is around 20,000 subscribers that we’ve split into an email sent to 5% at first, then two 10% segments to be sent the following 1-2 weeks. From there, based on the data, we will be able to learn about how our customers are responding to the emails being sent and can adjust the program going forward. In many cases, you won’t have to do more than a couple tests on larger lists to find what you want. The key is not generating a ton of unsubscribes, having a really low open rate, or worse, report to spam. Along with not breaking anything, you’ll be able to benchmark some data. As an example, with open rates, when sending out your first email, you can test a couple subject lines and iterate on that with a second email. Once you find a good industry acceptable or higher open rate, you can then put that line in the sand and use that as a subject line for future emails. You can do the same with templates, content, and design by iterating through your emails and understanding the click through rate and engagement with them. The key is, again, finding your benchmarks and iterating through them. Once you take these basic steps into account for an existing list or a new list your starting to build on your email marketing program, you can be way more effective. Also, you’ll find yourself to be way more efficient when iterating through campaigns because testing methods will be nailed down. Obviously conversion metrics can vary from company to company, but, overall there are metrics that are always important to track. Understanding where traffic is coming from and whether it’s converting will help you make better decisions about where to invest resources and dollars. At the end of the day knowing those metrics help you build and grow your business. I’ve walked into many situations where conversion/tracking pixels are incorrectly installed, tracking incorrectly, and in some cases counting multiple conversions per conversion. (i.e. pixel is firing >1 time for every time someone completes a transaction). These issues can lead to a complete misunderstanding of your traffic and how it’s actually doing. Fixing conversion pixels gives you a really solid foundation. Our team usually won’t start spending money on online advertising until this foundation is solid. This usually gets some of our client partners upset because, as startups, they want to move as fast as possible, but, we’re pretty adamant about this. Most ad channels will have documentation on how to install pixels. For example, Google has an entire guide to setting up tracking for adwords and Facebook has document on setting up their new “Facebook pixel” for tracking and conversions. (this is different from previously used conversion pixels which will be switched out in mid 2016). Once you have this set up correctly, you can effectively understand metrics on a per ad channel basis. Furthermore, having funnels tracked across the board will give you info on all of your traffic sources. – Direct & Brand: This is a mix of direct visitors and people searching for terms around your brand. For example, if someone was searching google for “visible factors” we would bucket this into direct & brand. – Organic Search: Organic search traffic, or SEO, can be extremely important to almost every business. Understanding people that come to your site based on content, services, or products offered will help you understand your user/customer better. – Paid Search: I keep paid and organic search separate because of the intent. Usually people clicking on the ads having a higher intent of conversion. Also, if you get a lot of blog traffic, organic search traffic might not convert as high as paid search. – Online Advertising: I tend to bucket social ads, retargeting and direct display advertising in a different bucket than paid search as well. Again, the intent and targeting is different. In many cases, because of the targeting, our reporting will differentiate display and social because of our goals. An example of this could be us using Facebook ads to target individuals who are interested in fashion brands so we can get them to like or convert on a client’s brand. On the flip side, we might use display advertising to increase visibility and qualitative metrics around the brand to get people to discover them. Increasing brand metrics won’t convert as high as a paid search or even paid social visitor, but, what it will do is provide an impression or someone that will pick up a retargeting pixel and convert that way. Understanding Bounce Rate by traffic source is something that can help you understand your traffic better. By understanding your traffic sources and the intent of each, it better helps you understand how to speak to them. Also, differentiating different sources like organic search and organic search from a blog will help you diagnose concerns about your traffic. Blog traffic will not convert at as high a rate as direct commerce traffic and will have a higher bounce rate. A simple example of this is something I’ve seen before, a high bounce rate on a site from a single traffic source because of a mandatory email gate. Removing the mandatory email gate reduced the bounce rate, we were still able to collect email addresses and conversion rate went up. Win, win, win. Retention and re-engagement are important because it can dramatically drive down your customer acquisition costs. You can track this by looking at cohorts of users over periods of time. If you have some questions about this, check out Andrew Chen’s post on Cohorts and Revisit Rates. Ultimately, this is the metric that is most important because, whether your selling a product, offering a service, or a content/social product, you need to understand the cost of acquiring customers and users. I usually like to have a CPA view that looks at traffic sources separately, per ad channel, and/or a blended CPA. Once you have this type of view you can understand how effective your marketing efforts are. This isn’t the comprehensive list, these are just 5 things I think are important to consider. For paid marketing specifically, I like looking at ROAS and ROI to understand profitability of campaigns. 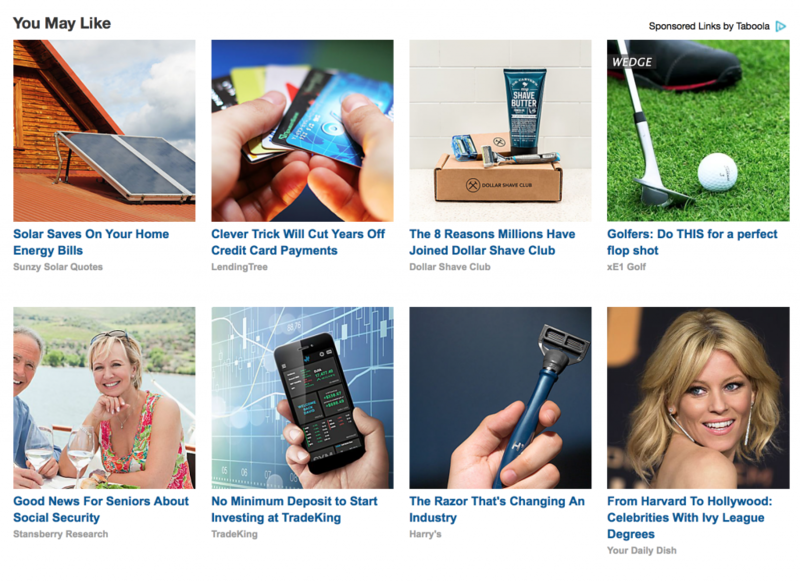 Ultimately, we want to turn our client ad dollars into a profit. And, for social/content channels and growth, we like to look at cohort usage deeper. Overall, as I mentioned initially, every company is different and it’s important to recognize what metrics are the most important for you to track. Defining this really drives how you look at the items I mentioned and how you track them specifically. Let us know what metrics are your top conversion metrics below in the comments. And, check out how we can help with Online Advertising Consulting. Whether you’ve started a new website or have an existing business and are looking to get some eye balls to it, SEO can be a challenging task. And, couple that with the fact there are over a billion sites on the internet, we know it can seem overwhelming. The truth is though, optimizing your site for search engines is really simpler than it seems. We’ve put together a list of simple, helpful, and promising steps for your site to get the most traffic possible from search engines. As you probably know by now, targeting the right audience (people) is a key part of this process. It may be easy to decide on a target audience, but make sure your website is tailored to target the right people too. This means including potential search keywords or phrases here and there and making it easy for people to find you. Take advantage of people who are actively searching for your topics. Make their job easy! If they’re searching for you, they probably won’t be using general keywords but rather they’ll be looking for you by using relatively unique keywords. For example, let’s say you’re a dentist in Scottsdale, Arizona. You may not be able to rank for “Scottsdale dentist” immediately, but you could rank for “Dr. Adam Smith, Scottsdale, AZ” or “Adam Smith Dentistry”. It’s always good to start with the basics. Just knowing people can find your business by your brand or company name is just as important. Over time, by continuing to add content to your site, and you become more of an “authority” in Google’s eyes, you’ll start to find you will be driving traffic for those keywords like “scottsdale denstist”. Search Engines work to give users the most relevant results based on their search. So how do you make sure you’re relevant? There are some 4 factors that can influence how your site shows up in results. Content, Authority, User Experience, and Performance. Content: does the actual text, titles, and descriptions on the page match a searcher’s results? Authority: is your site good enough to be used as a reference by other sites? User Experience: Is your site easy to use and safe? Performance: Does your site have proper speed and functionality? Make pages designed for users, not search engines! This is called cloaking and will deceive your users. Although you want your site to appeal to search engines, users should of course be your primary concern. Don’t go making your pages so optimized that users will have a bad experience. Imagine you’re a potential consumer searching for a site like yours. What would they Google to find you? Test it out yourself! If there’s a term or phrase people may search to find you, Google it and see if your site comes up. If you search something vague like “Scottsdale dentist” you may find sites with headlines using that specific phrase but bare in mind that it took them a while to get to that rank. So choose a search that is easier to rank on. If you search “Adam Smith Dentistry,” chances are that there will be fewer results because no other listings use the same keywords. This means you have a great chance to rank for them by making just a couple simple changes to your website! You can use Google’s Keyword Planner to find out what people are searching for and use that to your advantage when you start implementing these tips. And, you can take a look at how we do seo keyword research to help you come up with more keywords to show up for. In case you aren’t familiar, Title Tags are the title of a page that show up in the blue at the top of a browser. They are often overlooked, but are really a critical part to SEO. We tend to think it’s the most important part of what is on the page, from an SEO perspective. You may not be getting a ton of traffic from these words specifically but you’ll show up for people searching those terms. Considering there are more than just one ranking factor, search engines don’t just look at title tags and rank your site. URLs and file names are another opportunity to create relevance on your website. Be sure to keep it short and simple so it will be easy to remember for users and relevant for search engines. For more specific and long tail content, you might have a page about teeth cleaning and whitening. In that example you could use “yourwebsite.com/teeth-cleaning-whitening/” for the URL. This should give you a good frame of reference for your pages going forward. After choosing your title tags and filenames, add those same keywords throughout the content of the pages on your site. The key is, you want it to be subtle. Use natural language and avoid awkward phrases or obvious SEO and keyword stuffing. At the end of the day, we want readers to maintain their interest rather than be annoyed with unnecessary repetition. Take advantage of the headlines and subheaders to add in important references to keywords that important to that specific page. For example, above we talked about teeth cleaning for our URL example. On that page you could have headers that contain “Teeth Cleaning” and “Teeth Whitening” to target those keyphrases on the site. Then, you can start inserting those types of keywords throughout the copy of the page and the website as a whole. Remember though, the key is keeping the user interest as well. Meta Tags like the “meta description” are important as well. Sure, they no longer carry as much weight as they did in the past, but they still have some importance. They’re good to have and just a checkbox to make sure you’re doing everything you can to help your website get found. You’ll only have about 150 characters to use but there’s still a chance to make a big impact with small and simple words. Now you may be thinking that there is so much more to SEO. And you’re right! But this is a great way to get started optimizing your site by only spending a little bit of time overall and about ten minutes per page. These small changes can get you in the right direction and help people find you. And, who knows, you might even be able to get a customer or two in the near term! So, you’ve got a new email subscriber! Whether it’s a product, service, or blog, the one thing you need to remember is that you’re now building a relationship. Think of it like a friendship. General rules of thumb for maintaining this friendship are regular communication, showing interest in their opinion, and making them feel important. The first email they get from your site will be the make-or-break of whether they want to stay your friend. To keep them interested, you’ll need to fulfill a need of theirs from the get-go reminding them that you are worth their time and space in their inbox. So now you’re probably thinking “how do I accomplish all this? !” It’s really much simpler than it sounds. Before getting into the specifics, just remember that there is no set formula for having an effective welcome e-mail. Our best advice is to test all these methods, try different combinations, and see what works for your users! As you read this list, think about what will actually get your target to click through your emails and try them out. With some combination of these methods, you’ll be on your way to subscribers who get excited to see your name in their inbox. Like we mentioned before, you want this subscriber to be your friend. For some companies, this can get literal. If possible, make a human connection with your new subscriber. Have a real-life employee(yes, a human!) contact them after subscribing, welcoming them to the community or even asking for feedback. The new subscriber will feel important and refreshed to see something other than an automated email. Now we know this isn’t possible for every website (too big, not enough time, etc), but it’s worth a shot for smaller companies looking to establish themselves and their relationships with subscribers. And don’t try to go fooling your user with an automated email pretending to be human! They will know and will get a bad impression right off the bat. Let the new user know how often and what kind of content you will be emailing them. This will differentiate you from other campaigns and keep you out of their spam folder . Trust us on this one: most copy in subscription emails goes unread. No one wants to spend their free time reading through long blocks of text. Even if you’re a news site, email success will come from keeping it short, simple, but effective. In the welcome email, give them a simple call to action. The most common form of this is a button. Invite them to visit your site, redeem a code, or continue shopping. If the reader sees a button, they will probably go straight to clicking it before even reading the copy, so make sure you use this method with that in mind. Say thank you and let the subscriber know that you appreciate their engagement. They have plenty of emails in their inbox and have opted in for adding more with your emails. Show them that you appreciate them and will make it worth their while! Most sites stick to a simple “Welcome to ___” and tend not to branch far off from this. But make it interesting! Be consistent with your branding and make the new subscriber excited to open the email. Compel them to find out more and continue engaging with your emails. 41% of emails are opened on the mobile device now, so if your email isn’t mobile-friendly too, you could be using a large base. Make an effort for those mobile users so they don’t begin to automatically delete your emails in the future. 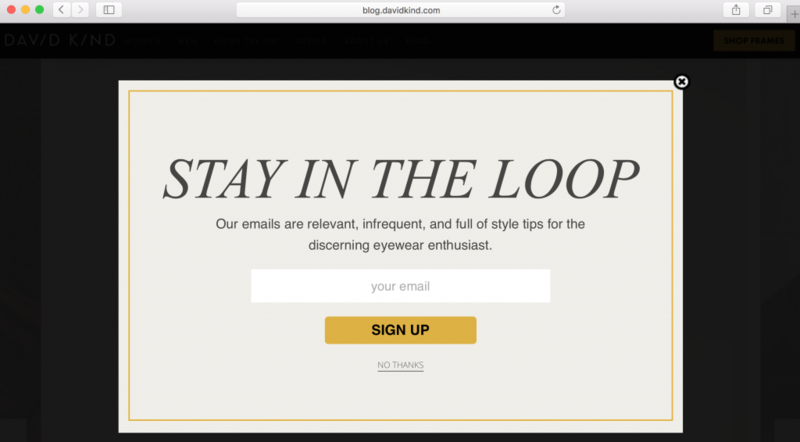 Because this will be the first email they receive from your site, the subscriber is more likely to actually open it. This makes it a perfect time to promote your goods or services. But make sure this isn’t done in an in-your-face way. Show them that you’re worth their time by giving a discount code or free shipping just for them. They will want to stay your friend! Show the subscriber that you’re not like the rest! They subscribed to you for a reason and this needs to be maintained so that their interest is kept. Remind the user why you became friends in the first place by showing them what your site can do for them (products, posts, opportunities, etc). You don’t want to end up in their junk folder, so make sure you have them add your address to their contacts. Another way to avoid the junk and spam folder is by making sure your email passes fraud tests. Make it easy for the reader by telling them exactly how to whitelist you and they may actually listen! Keep it simple! Nobody wants an overwhelming, text-heavy, extremely long welcome email. Short text, a couple pictures and promotions, and perhaps a call to action. Simplicity is key! If you do have a call to action, make sure it’s logical and parallel with other calls to action and account confirmations. Everybody loves a gift! Make an offer that will motivate them to use your service or site. 10% off, free shipping, buy one get one free, free first time, refer a friend special, anything! They will feel obligated to use it so that it’s not wasted. Yes, we’re repeating it again now that you’ve now read through everything. Test, test, test! Combine different techniques until you find the best method for your site. Give each method enough time to get accurate results but don’t be afraid to keep changing it until it’s right for your site. After all, everyone only receives one welcome email! 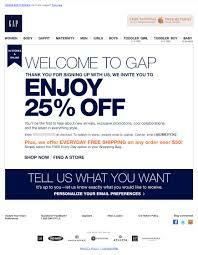 Gap does a great job of offering and highlighting their 25% discount offer, thanks the customer, and doesn’t overwhelm in CTAs. 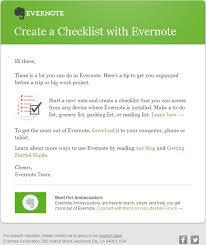 Evernote uses the personalization of the subscriber by addressing their name and shows them how to use their account, but still keeps things short and simple. Dorothy Perkins’ welcome email has two CTAs but also keeps it short and simple for the reader. This is a great example of reminding the user to add your email to their contacts and informing them what will be in their inbox from you.